It’s mango season here in the US! From April through the summer, there are so many more varieties available at the grocery stores. Most are imported but we do get some from Florida. Sweet juicy mangoes are just the best eaten over the sink. They are also great added to smoothies, lassis, and milkshakes. 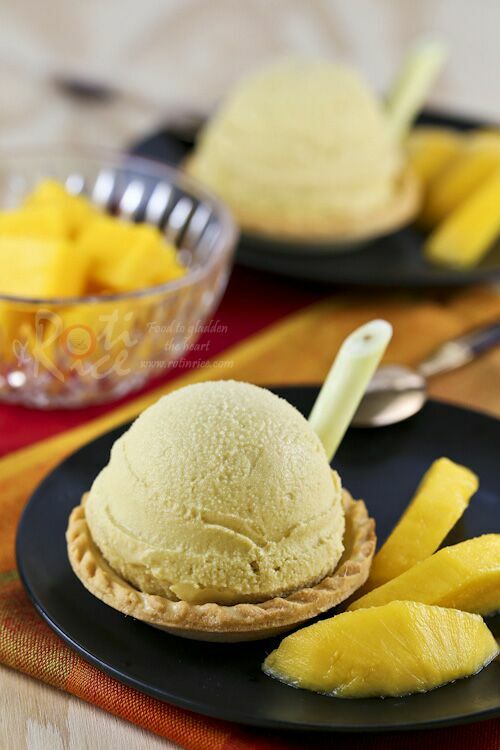 Pour this into an ice cream maker and you have turned it into a frozen delight like this luscious Mango Lemongrass Ice Cream. The fresh scent of lemongrass is subtle yet discernible. 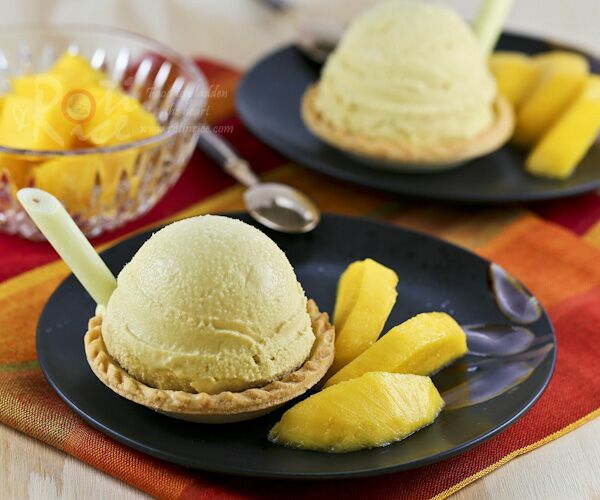 It complements the mango flavor beautifully. Fresh lemongrass is best. Simply crush the bottom 6 inches by giving it a good smack with your kitchen knife to release its fragrance. Simmer and steep in the milk for the flavor to develop. Just one stalk is sufficient. Any variety of mangoes would work in this recipe. I used 2 large ripe Ataulfo mangoes from Mexico because they were on sale at my local grocery store. 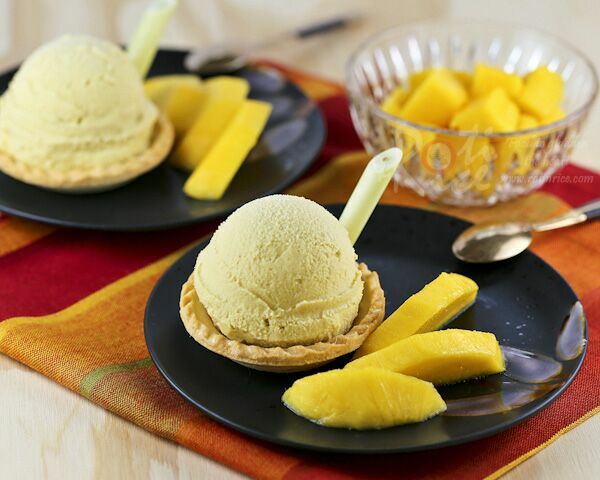 If the mangoes are small, you may want to use 3 mangoes instead for a more concentrated flavor. Make sure the mangoes are ripe so that they are sweet and juicy. Oh mango!!! yes! The combination of mango and lemongrass sounds awesome and unique. I would love to try this! Thanks for sharing! This is so much better than store bought!! and it is healthy, beautiful and delicious!